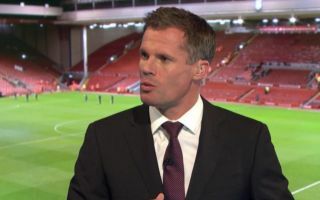 Liverpool legend and Sky Sports pundit Jamie Carragher highlighted Manchester United defender Victor Lindelof as being out of depth at this level. The Sweden international did not start tonight’s game against Tottenham but came on off the bench at Old Trafford and has had more of a key role so far this season. Still, there’s no doubt that since his arrival from Benfica last summer, Lindelof has not looked worth the investment for United, who look desperately short of options at the back. The club were linked with a number of defensive signings this summer, but none came, though Carragher pointed out this Jose Mourinho signing as one that’s failed really badly. The ex-Red says he actually pities Lindelof for being so far out of his depth, in what is undoubtedly a damning verdict on the 24-year-old on another poor night. United’s recent record in the transfer market certainly has to be questioned, with many Mourinho signings failing to really deliver so far, including big-name additions like Paul Pogba and Alexis Sanchez. “What has happened at Man United, buying two £30m CBs?” Carragher told Sky Sports, as quoted by Squawka. “I mean Victor Lindelof, I can’t criticise Lindelof because it gets to the stage where I just think he is out of his depth.